Considering buying a pool? You must read this first!!! 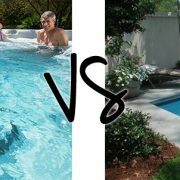 Learn why a Spa or Swim Spa is the better choice these days. It’s starting to warm up, Summer is a welcome glimmer on the very close horizon, and the “should we get a pool?” question has popped up in your head again. Then reality sets in, you decide you want a pool and it is going to take 3-6 months to plan, build, install, landscape and so on before you can use it. Your budget has been blown out of the water from the original quote with added extras you really need and learn about along the way. This could be excavation, reinforcement, landscaping, this list goes on. NEW, DEMO and USED SPA SALE ON NOW!!! 4 DAYS ONLY! 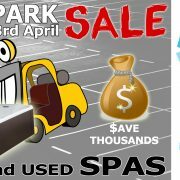 We are excited to be holding a massive CAR PARK SPA SALE. There will be so many spas to choose from up for grabs at unbelievable prices during our massive Car Park Spa Sale. Meet Ashley and Chris, https://www.acheterviagrafr24.com/prix-du-viagra/ active hot tubbers and parents who use their Hot Spring spa to speed recovery, prevent injuries, and unplug from the world. A breakthrough in the area of water care in fact its virtually a hands free way to sanitize the water in your spa and to do it all with just a little bit of salt, the water in your hot tub and a bit of exclusive technology from Hot Spring Spas. Take a closer look.